One of the most difficult topics this podcast has discussed. The suicide problem that is occurring within the EMS profession. This week's I talk with the founder of the Firefighter Behavioral Health Alliance (FBHA) Jeff Dill. FBHA is dedicated to educating EMS, Police and Fire on suicide awareness. It is the only known organization that collects and validates data on FF/EMT suicides across the Unites States. Jeff besides being a retired Fire Captain holds a MS in Counseling. Suicide of ... See More Public Safety Providers, especially in EMS unfortunately is in the news on a regular basis. Just this week EMS1.com ran another article on the subject. We discuss how the organization got its start. We talk about suicide in EMS, what are some of the signs we should be looking for and how important that we educate our public safety family. Steve thanks for the comment. 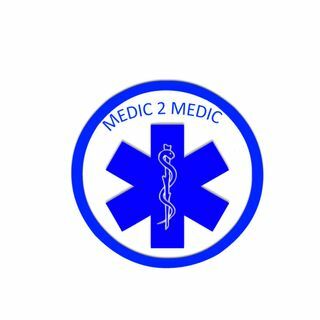 Feel free to contact me at medic2medicpodcast@gmail.com. Would love an opportunity to speak with you in regards to how acupuncture can be a part of CISM, and assist with PTSD/secondary trauma, and suicide prevention. I am the Assistant Unit Coordinator for the Colorado Acupuncture Medical Reserve Corps in Colorado and am currently doing original research working with first responders (EMS, Fire, Law Enforcement and Dispatch) and resiliency.